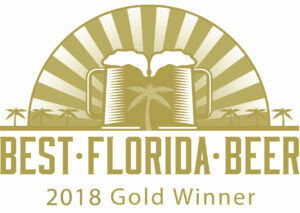 If you’ve never heard the story behind the beer… its unique name is our tribute to the original home of Darwin Brewing Company in Sarasota’s Rosemary District, in a building that once housed the Florida Citrus Exchange and was built circa the year 1926. 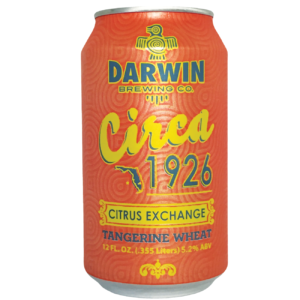 With several locations, the company was a co-op owned by citrus growers in the state and its purpose was to market the wonders of Florida citrus across the country. They opened modern packinghouses, established citrus grading guidelines, and helped ship over 1 million boxes of fruit in its first year of operation. In 1926 alone, over 14 million boxes of fruit were shipped from Florida, including over one thousand train cars full of tangerines. We are distributed statewide through Cavalier Distributing & the Anheuser-Busch network from Tampa through Port Charlotte.